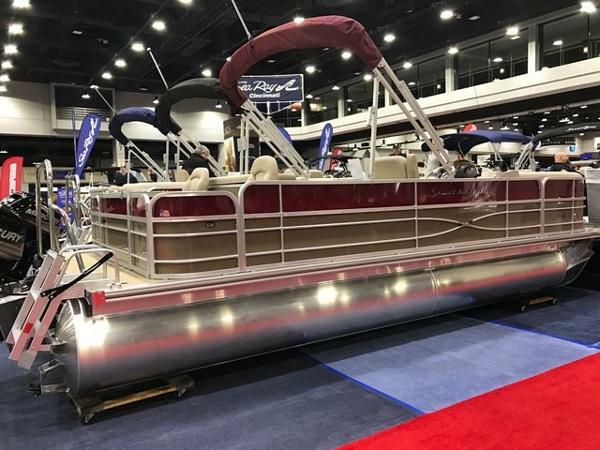 2017 South Bay 523CR Beautiful South Bay 523CR pontoon powered by Mercury 150L and loaded with options! 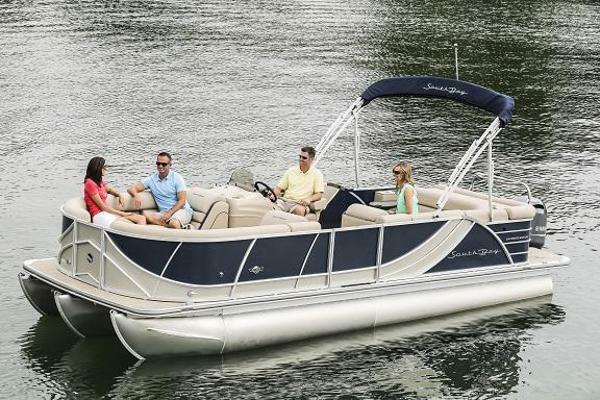 Includes 2.75 Performance Package with center sport tube, Sea Star hydraulic steering, 27 gallon fuel tank, and full aluminum underdeck performance skin. Also includes Deluxe Option package with high back captain's chair, wood grain steering wheel, and full teak vinyl floor upgrade. 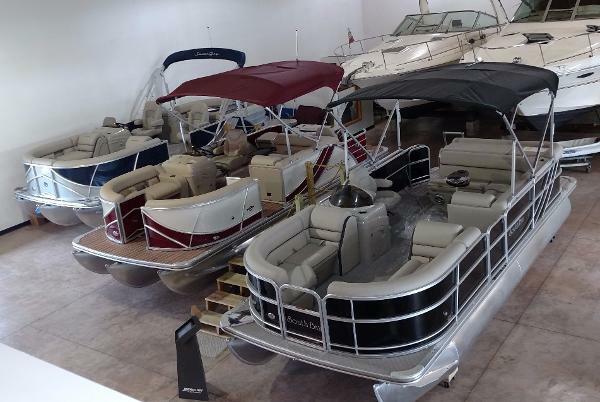 Includes Humminbird GPS, ski tow bar, and more. Must see. All trades considered. 2017 South Bay 222CR 2017 South Bay 222CR powered by Mercury 115hp ELPT. Includes 2.75 Performance Package with center sport tube, hydraulic steering and lifting strakes. Also includes Deluxe Option Package with captains chair and wood grain steering wheel. All trades considered. 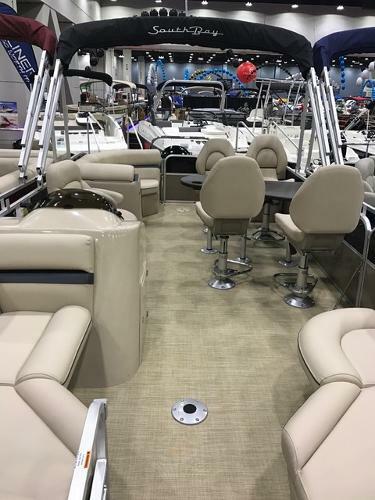 2017 South Bay 222E 2017 South Bay 222E with entertainment area powered by Mercury 115hp ELPT CT. Includes Deluxe Option package with furniture upgrade, Clarion stereo with 4 Kicker speakers, 25' pontoon tubes with upgraded transom, full rail panels, tilt steering, and more. Very nice, must see! All trades considered. 2017 South Bay 224FCR Summer fishing and skiing fun, right here on this 2017 South Bay 224FCR powered by Mercury 115hp ELPT CT. Includes Deluxe Option package with furniture upgrade, Clarion stereo with 4 Kicker speakers, 25 inch pontoon tubes and upgraded transom, full rail panels, tilt steering, raised logos, ski tow bar, trolling motor outlet, Humminbird fish finder, and more. All trades considered. 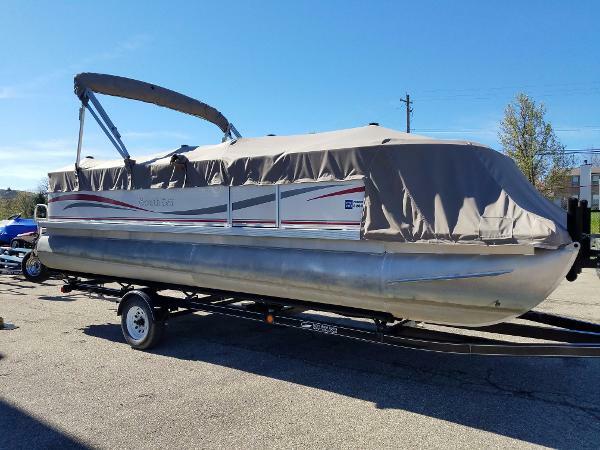 2017 South Bay 224RS New 2017 South Bay 224RS pontoon powered by Mercury 150L and includes Deluxe Option Package with high back captains chair, woodgrain steering wheel, and full tropical weave floor upgrade. 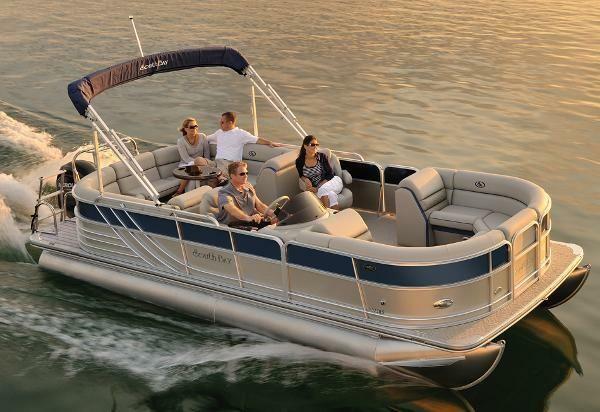 Also includes 2.75 Performance Package with center sport tube, full aluminum underdeck performance skin, lifting strakes, Seastar hydraulic steering, and 27 gallon fuel tank. All trades considered. 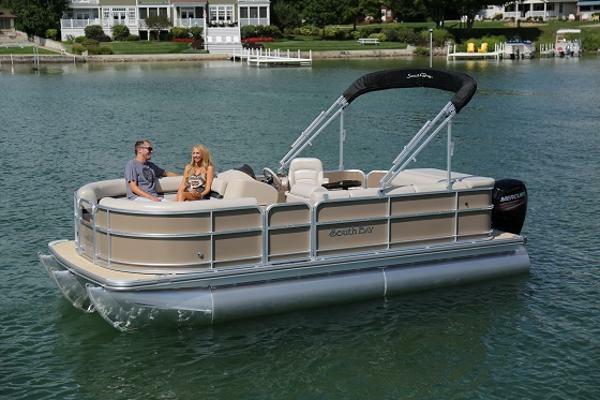 2017 South Bay 523RS Powered by a Mercury 150L, this 2017 South Bay pontoon has it all! Equipped with 3.0 Performance Package which includes full center tube, Seastar hydraulic steering, 37 gallon fuel tank and more. 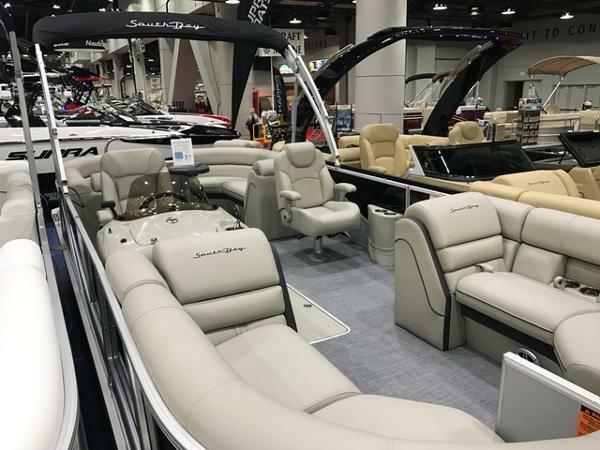 Also includes Deluxe Option package with high back captains chair, wood grain steering wheel, full teak vinyl floor upgrade, GPS upgrade, bow bench and more. All trades considered. 2017 South Bay 525RS DC ARCH Wow! 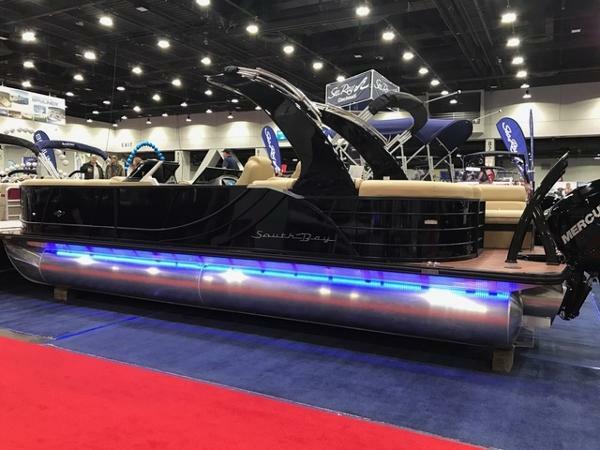 This is a must see 2017 South Bay 525RS Dual Console with Arch and powered by Mercury 250hp Verado! Also includes Black Out Trim Package, Performance Package with full center tube, full aluminum performance skin, hydraulic steering, and 37 gallon fuel tank. Also includes Deluxe Option Package with high back captain's chair, woodgrain steering wheel, an full teak vinyl floor upgrade. Includes Lighting Package with LED floor lights, underdeck lights and exterior rail panel lights. You don't want to miss this one! All trades considered. 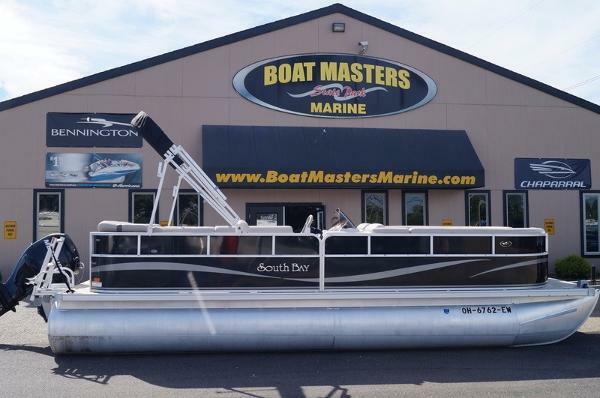 2017 South Bay 525CR 2017 South Bay 525CR pontoon loaded with options! Powered by Mercury 150L and includes 3.0 Performance Package with full center tube, full aluminum underdeck performance skin, lifting strakes on center tube, and on the inside of outer tubes, Seastar hydraulic steering, and 37 gallon fuel tank. Also includes Deluxe Option Package 2 with high back captains chair, woodgrain steering wheel, and full teak vinyl floor. Add on LED floor lights, ski tow bar, and black Onyx canvas. Come see! All trades considered.